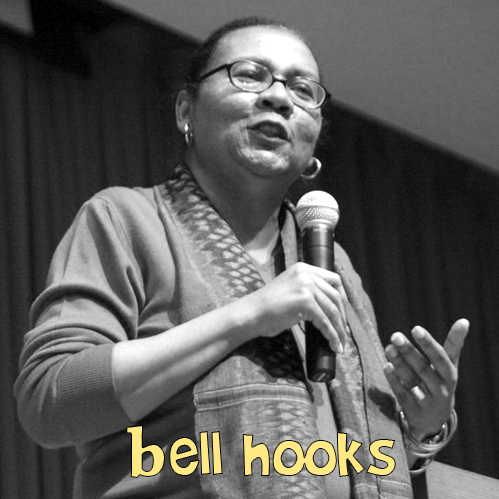 bell hooks (born September 25, 1952) is the pseudonym of the writer and activist Gloria Jean Watkins, which she adopted at the age of nineteen in honor of her great-grandmother and the strong women who have come before. Born into a segregated community of Hopkinsville, Kentucky, hooks would become a pivotal voice in the dismantling of patriarchy. 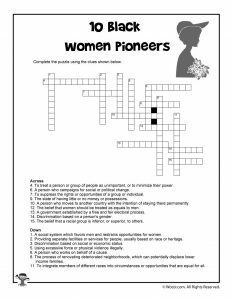 She is a poet, Professor, activist, and an advocate of education reform. Her critical analysis of Feminism, film, music, and American culture are often quoted. She has written over thirty books including several children’s books. 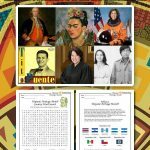 She has earned her Bachelor of Arts from Stanford University, her Master’s of Arts from the University of Wisconsin, and her Ph.D. from the University of California, Santa Cruz. Hooks has won the Writer’s Award from Lila-Wallace, the Reader’s Digest Fund. 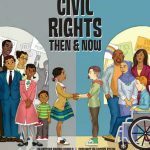 Skin Again by bell hooks – a story that teaches children to see more than skin color to learn who a person is. Homemade Love: Picture Book by bell hooks – a story about making mistakes and learning from them. 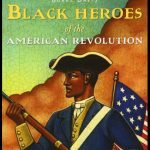 Be Boy Buzz by bell hooks – a story the kicks gender roles to the curb and redefines what it means to be a boy. Dr. Nina Simone (February 21, 1933 – April 21, 2003) At the age of three, Nina Simone, born Eunice Kathleen Waymon, began playing the piano by ear. Her talent was undeniable as she could play almost anything she heard on the piano. Her parents allowed her to play the piano at her mother’s church. Soon she began studying classical piano with Muriel Mazzanovich, an Englishwoman who was living in the town of Tyron, North Carolina, where Nina Simone was born and raised. Under Mazzanovich’s instruction, Nina became well-versed in the classical music of Johann Sebastian Bach whose style she fused with pop, jazz, and gospel to create her unique sound. And during the period in the United States known as the Civil Rights Era (1064 – 1974), her music reflected the anger that she and other Black Americans felt as they fought for their freedom and rights. The existence of racism had been obvious to Dr. Simone at a young age. 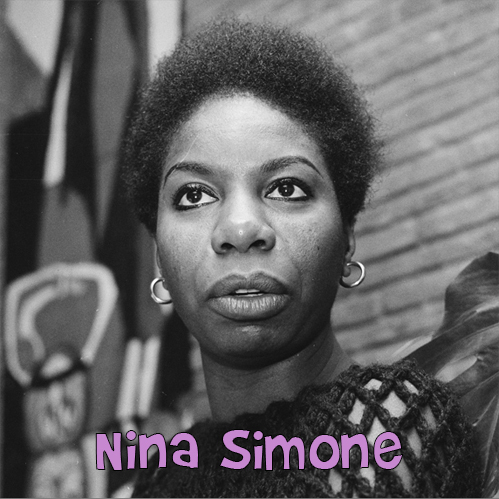 Despite her talent (she studied at Julliard in New York) and her intelligence – Simone was valedictorian of her class in high school – she was denied admission to the Curtis Institute of Music because she was Black. But she did not let that stop her. In fact, Simone went on to record more than forty albums, earning four Grammy Award nominations and receiving a Grammy Hall of Fame Award in 2002 for her work. Additionally, she received three honorary degrees from Malcolm X College and Amherst College, and a third which was granted nine days before she died, from the school that rejected her, the Curtis Institute of Music. 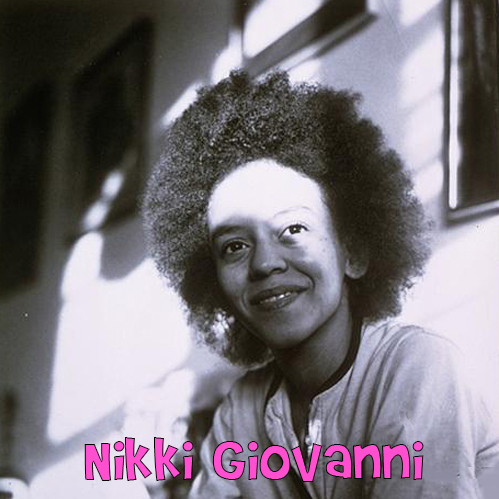 Nikki Giovanni (June 7, 1943) Born Yolande Cornelia Giovanni, Jr is one of the most famous Black-American poets and writers. She is also an activist and an educator. Her hometown is Knoxville, Tennessee, and there Ms. Giovanni was surrounded by storytellers. Of note is her Grandmother who she and her parents lived with before they moved to Cincinnati, Ohio. Giovanni began exploring writing while a student at Fisk University, an all-Black college in Nashville, Tennessee. While there she helped to resurrect the school’s chapter of the Student Nonviolent Coordinating Committee (SNCC), an organization that helped to organize younger voices in the Civil Rights Movement. Her first published books of poetry stemmed from the assassinations of Dr. Martin Luther King, Jr., Malcolm X, and others. 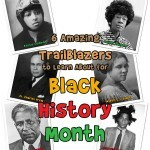 She wanted to raise awareness about the plight of Black American and the poems gave her an outlet for her frustration. Nikki Giovanni’s work calls for self-awareness, self-love, and unity in the Black community. She taught at Rutgers University and in 1970 Giovanni opened NikTom LTD, named after herself and her son, a publishing company that would go on to publish works by several other Black-American women. She has received numerous awards for her work, including the Langston Hughes Award for Distinguished Contributions to Arts and Letters, the Rosa Parks Women of Courage Award. She has received over twenty honorary degrees from various colleges and universities. There is even a bat named after her! 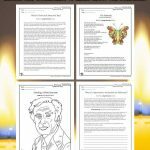 Poets.org has several poems written by her, including Ego Tripping (there may be a reason why) (1968), Knoxville, Tennessee (1968), Quilts (2004) and My First Memory (of Librarians) (2007). 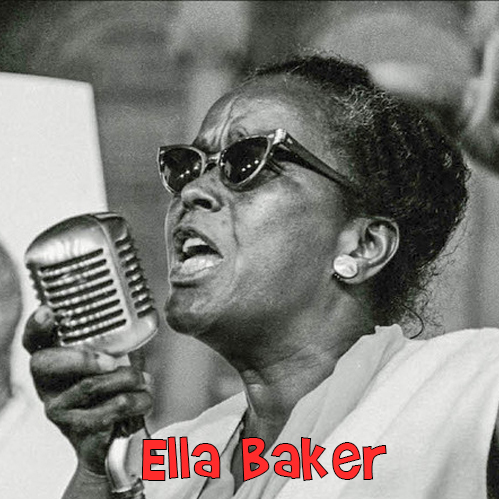 Ella Baker (December 13, 1903 – December 13, 1986) as an African-American civil and human rights activist, Ella Baker was a grassroots organizer who believed that oppressed people had to understand their condition and advocate for themselves. She was outspoken about the racism- both hidden and not- within American culture as well as the rampant sexism and classism within the Civil Right Movement of the 1950s and 1960s. As a student attending Shaw University, a Historically Black College in North Carolina, Baker spoke out against the conservative dress code, racist attitude of the school’s president, and the policies that dictated how students would be taught the Bible and religion. 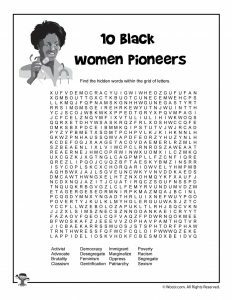 She worked as a Black journalist and editorial assistant for the American West Indian News and later became the national director of the Young Negroes’ Cooperative League (YNCL) an organization that helped develop local consumer cooperatives and buying clubs. To Baker, these coops helped teach citizens the principles of democracy and helped them grow in their knowledge and power. Barker also taught consumer education, labor history, and African history as part of the Worker’s Education Project, established during President Roosevelt’s New Deal. She is probably most known for her involvement with the National Association for the Advancement of Colored People (NAACP). As director of branches, she helped the NAACP expand its membership and promoted the importance of the local branches to effect change. She eventually served as the organization’s President, working to desegregate schools and against police brutality. Later, she helped build on the success of the Montgomery Bus Boycott by helping to form the Southern Christian Leadership Conference, an organization that would help Black churches gain political leadership. She became the interim executive director of SCLC until April of 1960. Baker was also responsible for organizing the meeting that would create the Student Nonviolent Coordinating Committee (SNCC) in 1960. Later, she worked on the “Free Angela” campaign in which she advocated for the release of activist and writer Angela Davis who had been arrested as a communist. In 2009, Ella Baker was honored on a US postage stamp. 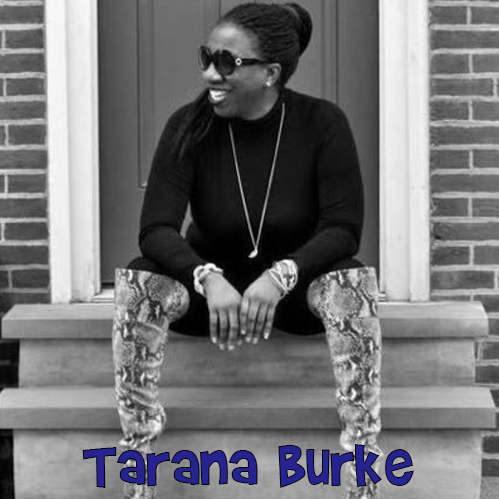 Tarana Burke In 2006, Tarana Burke, an American Civil Rights activist, began using the phrase, “Me too,” on Twitter in an effort to raise awareness about sexual assault and sexual abuse. However, it was something that she wishes she had said to other survivors of sexual assault before then- that they were not alone. That she too had survived. It is what moved her to create Just Be, Inc. to help promote mental and physical wellness amongst marginalized women and young girls. “Me too,” became a movement after the use of the hashtag gained popularity when actresses began coming forward with their experiences in Hollywood. Along with others, Tarana Burke was named “Person of the Year” by Time Magazine in 2017. As the Senior Director of the non-profit Girls for Gender Equality in Brooklyn, New York, she helps create opportunities for young Black, Indigenous, and People of Color (BIPOC) to overcome the many hurdles that they face. Through GGE, Ms. Burke tackles issues of sexism, poverty, racial injustices, transphobia, homophobia, and harassment. 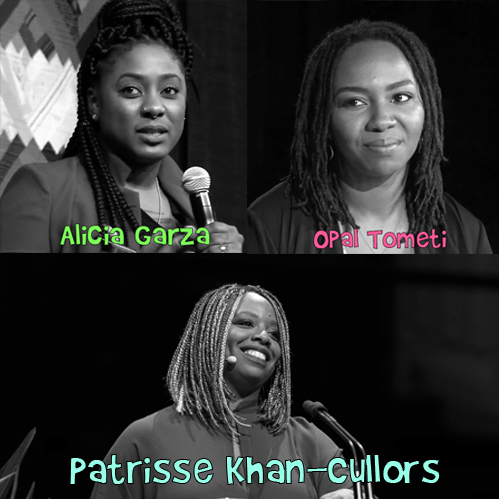 In 2013, Alicia Garza, Opal Tometi, and Patrisse Khan-Cullors, co-founded the #BlackLivesMatter movement. While initially in response to the murder of Trayvon Martin by George Zimmerman, the organization has evolved into a global network aimed at reducing the violence inflicted on Black people by those in power who act with racist hatred. And while together, Garza, Tometi, and Khan-Cullors created the movement, they are pioneer in their own right. Patrisse Khan-Cullors is a performance artist, community organizer, and freedom fighter. She has worked with young, queer women who have faced the challenges of being queer, impoverished, and Black and she has fought tirelessly to end violence against inmates in prisons and jails. She has been recognized for her work as an activist and organizer receiving the Mario Savio Young Activist Award which is given to a young activist who shows a deep commitment to an exceptional leadership in social justice and human rights. In 2014, Khan-Cullors was honored for working to build a civilian initiative of oversight in Los Angeles jails to ensure that inmates were treated humanely. She was the 2015 winner of a grant from Google to support her Ella Baker Center project, a rapid response network that will help communities respond to law enforcement violence. Patrisse Khan-Cullors is also the Founder of Dignity and Power Now, a grassroots organization fighting for the dignity of incarcerated people and their families. Opal Tometi is a Nigerian-American community organizer who currently serves as the Executive Director of the Black Alliance for Just Immigration (BAJI), a national organization that advocates for the rights of immigrants and racial justice. Originally from Phoenix, Arizona, Tometi was the lead organizer behind the Black-Brown Coalition of Arizona and lead the grassroots organization against the anti-immigrant law SB-1070. Tometi has also helped other activists develop the skills to build social justice organizations that work and last. Alicia Garza is a writer and African-American activist who has lead movements around the issues police brutality, anti-racism, health, student rights, and violence against gender non-conforming members of the Black community. She was the Director of People Organize to Win Employment Rights, a San Francisco-based organization. She fought for and won free public transportation usage for youth. She is on the Board of Directors of Forward Together (Oakland, California) and of Oakland’s School of Unity and Liberation (SOUL). Garza has won several awards for her work in social justice including the Bayard Rustin Community Activist Award which was given to her by the Harvey Milk Democratic Club for her work in fighting against racial injustice and the gentrification of San Francisco. Henrietta Lacks: born Loretta Pleasant on August 1, 1920, Henrietta Lacks was diagnosed with cancer after giving birth to her fifth child and sought treatment at Johns Hopkins Hospital in Baltimore, Maryland where tissue from her tumor was stolen by doctors and researchers at Johns Hopkins Hospital in Baltimore, Maryland. These tissue samples were taken without her consent and used to create the first ever immortalized cell-line called HeLa. Lacks was not compensated in any way. When she died in 1951, the George Otto Gey and his lab assistant Mary Kubicek stole more tissue from her body while she was in the Johns Hopkins’ autopsy facility. The HeLa cells were unique because they reproduced at a high rate and survived long enough to be examined more closely. Gey was able to repeatedly divide one cell to use in multiple experiments and eventually the HeLa cells were being sold commercially to other labs and research facilities. HeLa cells helped Jonas Salk develop the Polio Vaccine and they have been used in research into AIDS, cancer, gene mapping and more. They were also the first human cells to be successfully cloned in 1955. Allergy tests have been conducted on the cells to test everything from makeup and cosmetics to glue. The use of Henrietta Lacks’ tissue samples and cells has led to discussions about genetic privacy and the use of genetic information for commercial and even profiling purposes. In 1996 Morehouse School of Medicine honored Henrietta Lacks and her cell line as well as the contributions of African Americans in medical research at the first every HeLa Women’s Health Conference. In 2010 John Hopkins Institute for Clinical and Translational Research created an annual Henrietta Lacks Memorial Lecture Series in honor of the global contribution of HeLa cells. 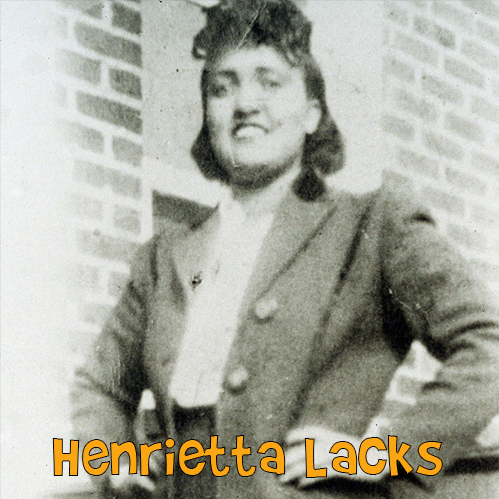 The Lacks family has not received any compensation for the commercial use of the HeLa cells. 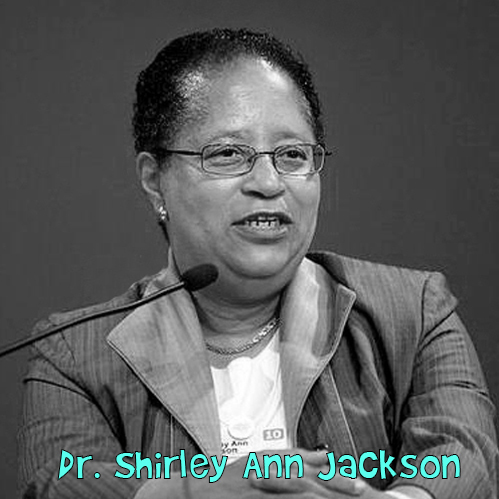 Dr. Shirley Ann Jackson is currently the president of Rensselaer Polytechnic Institute. She is a theoretical physicist and the first African-American woman to receive a Ph.D. in any subject at MIT and the second to earn a Ph.D. in Physics anywhere in the United States. Dr. Jackson is also the first African-American woman to lead a top-ranked research university and the first elected president and then chairman of American Association for the Advancement of Science (AAAS). She is a highly accomplished physicist, developing and researching what would become Caller ID and Call Waiting while employed at At&T Bell Laboratories in 1976. She also served as the chair of the U.S. Nuclear Regulatory Commission, appointed by President Bill Clinton. You may have noticed light blue words throughout this article. We’ve created a word search and crossword worksheet for students interested in learning more about the challenges and causes these 10 amazing women have championed.